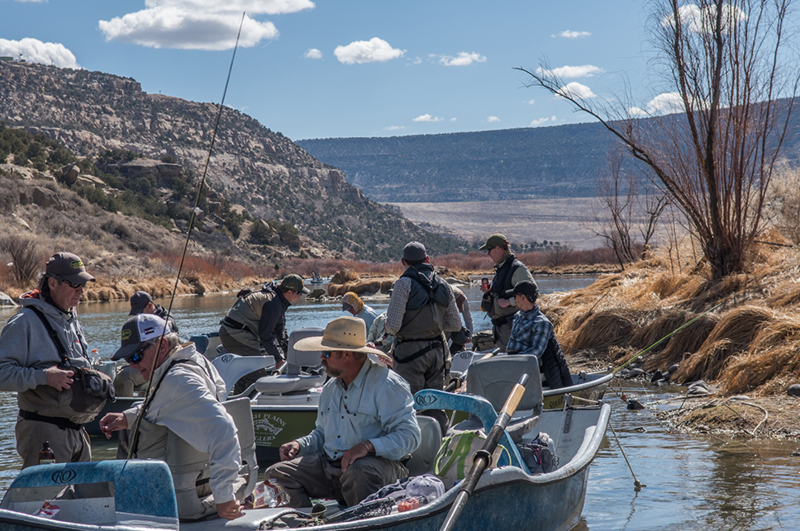 Join The Blue Quill Angler as we’ve teamed up with The Soaring Eagle Lodge in New Mexico, to offer our clients a great way to fish the San Juan River below the Navajo Dam. 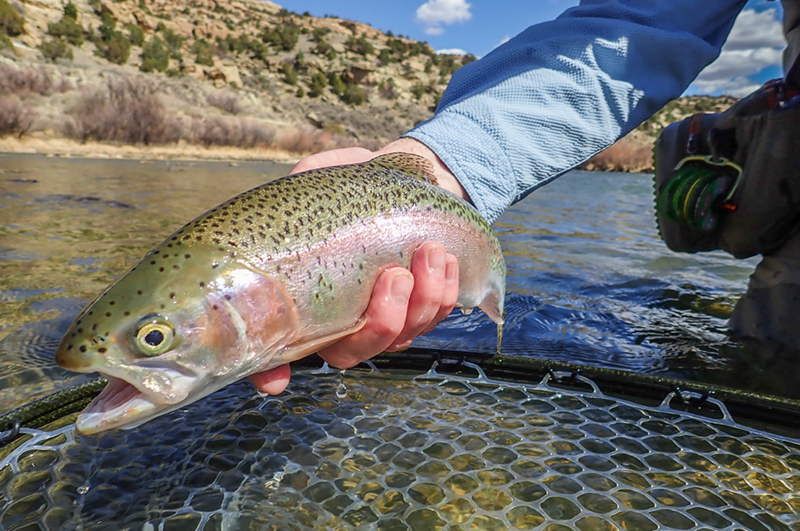 With 10,000 – 12,000 fish per mile, the Quality Waters section below the dam presents an opportunity to fish a river that has been ranked as one of the top destination trout locations in the country. 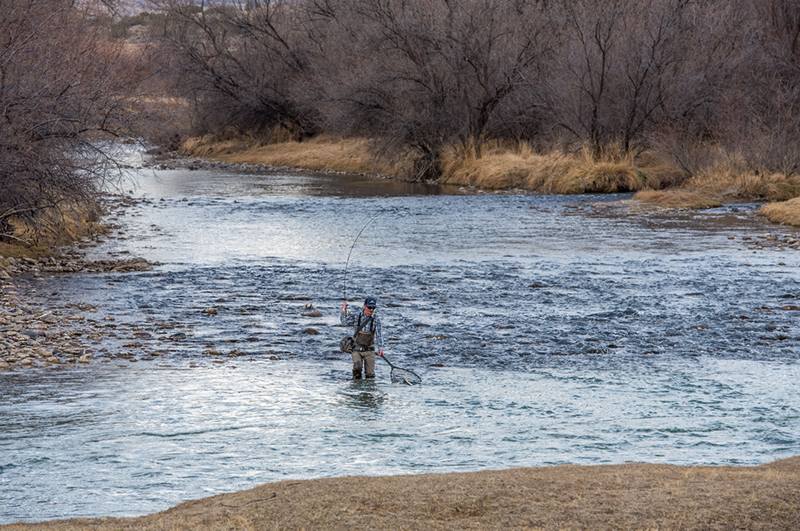 The Blue Quill will be making 2 trips down to the Soaring Eagle Lodge in 2019. 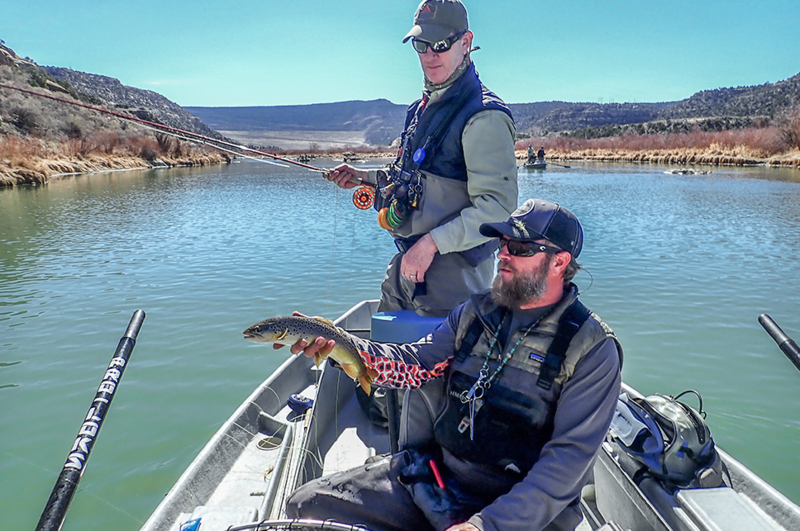 The first trip will be for 11 anglers and host John Keefover, June 30th – July 3rd, 2019. 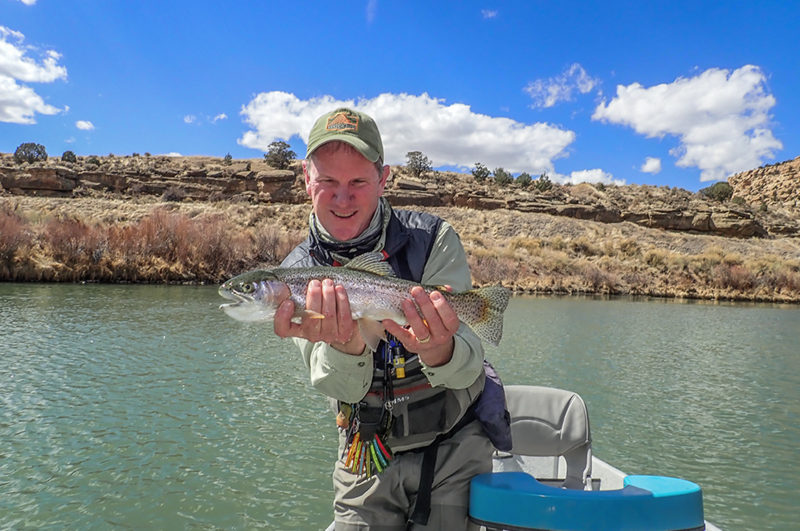 The Blue Quill Angler is also hosting a ‘Couples Trip’ October 23rd – 27th, 2019 with hosts Pat and Kim Dorsey. 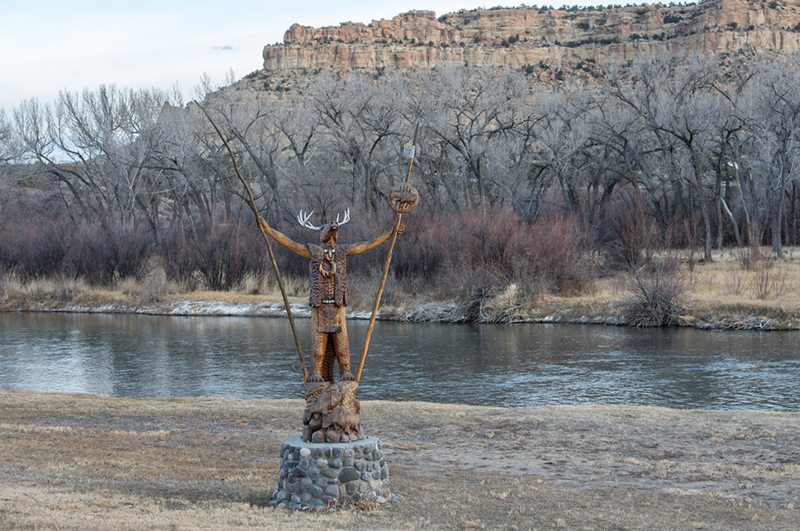 The Soaring Eagle Lodge is the premier lodge of the San Juan, located right on the river, about 5 miles below Navajo Dam. In fact, they are one of the few lodges that offer cabins right on the river, with private water access exclusive to the guests of the Soaring Eagle. 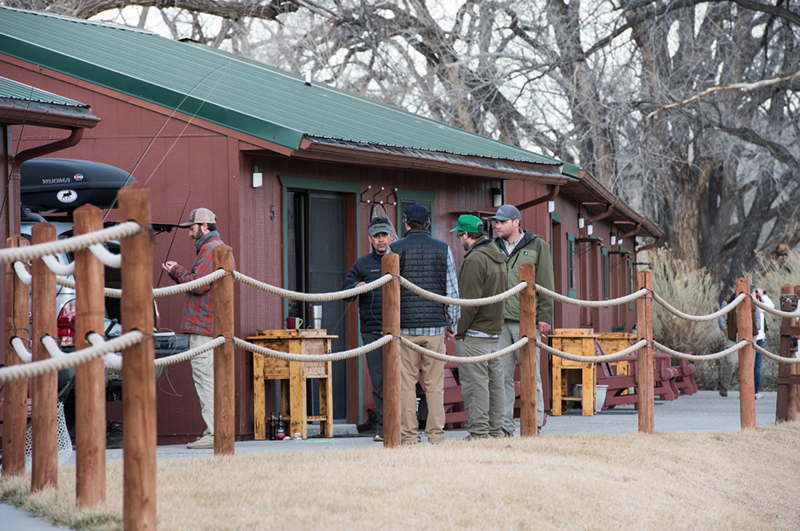 Each cabin at the lodge was designed with the fly fisherman in mind, complete with both indoor and outdoor rod and wader racks. The cabins are built for extreme comfort with exceptional views, creating an ideal place to relax after a long day on the water. 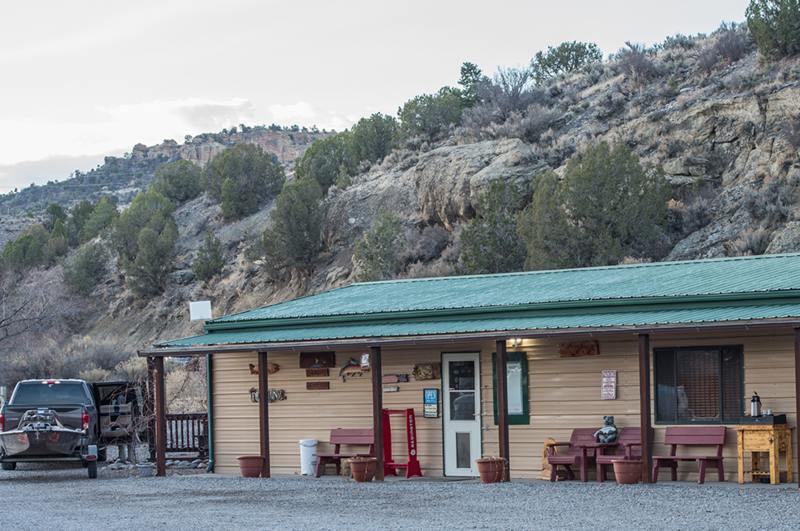 All cabins feature: 2 comfortable full size beds, flat screen satellite TV, full size refrigerator, kitchen amenities, lounge chairs, patio furniture, cell service and WIFI. The lodge also offers many options of entertainment, a hospitality room with pool table, shuffleboard, dartboard, and a big screen TV. 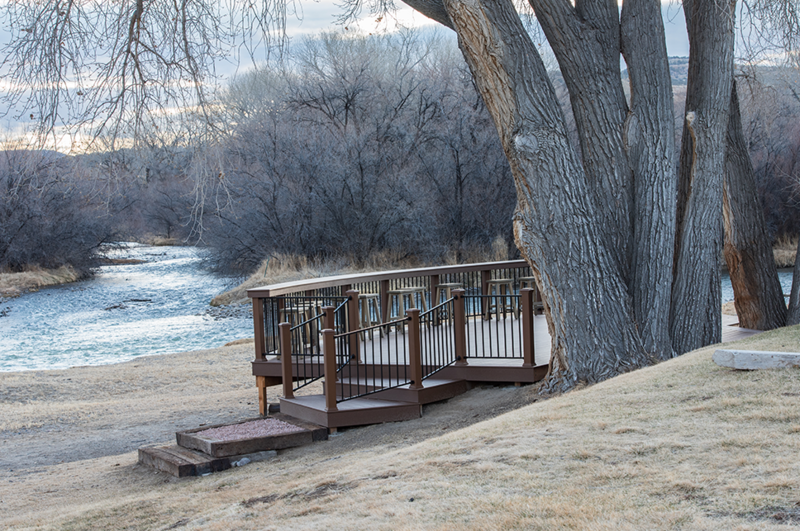 Enjoy a game of horseshoes with guests, or maybe sit back on the deck and listen to the sound of the river. The food at the Soaring Eagle Lodge is delicious! They have the only restaurant in the area, Crow’s Foot, that has 2 professional chefs on staff, offering cuisine that has distinctive American regional flavors incorporating continental techniques. The outcome is first class meals that consistently exceed expectations. Your fishing day begins with an early breakfast at the Crow’s Foot restaurant. After breakfast, you may choose to return to your cabin to begin preparing for the day. 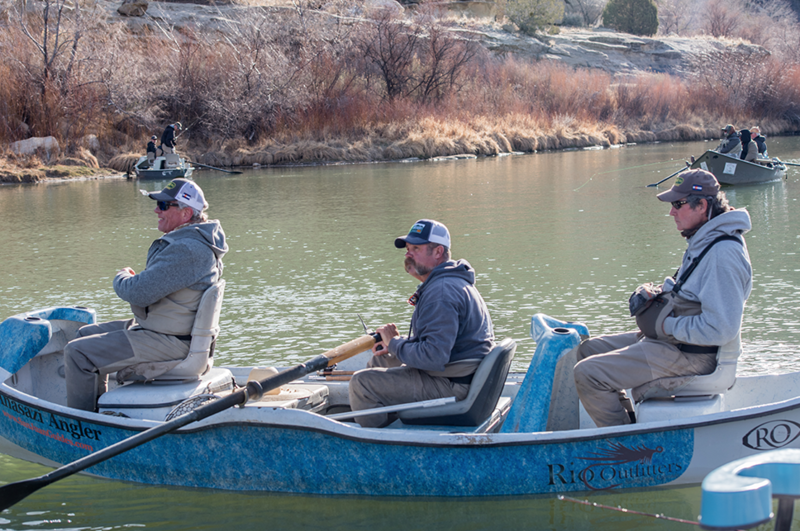 Guides will arrive shortly after breakfast to help you choose the proper gear for your day on the water. 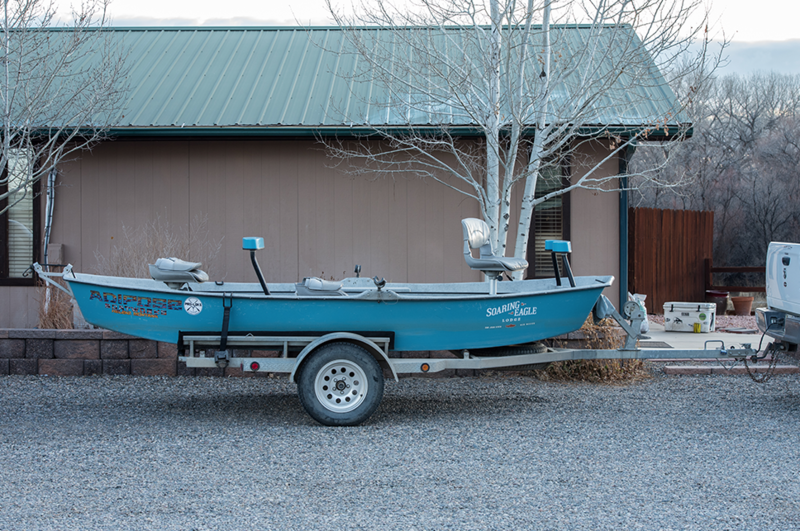 With a short drive to the nearest boat launch you will be on the water fishing in no time at all. 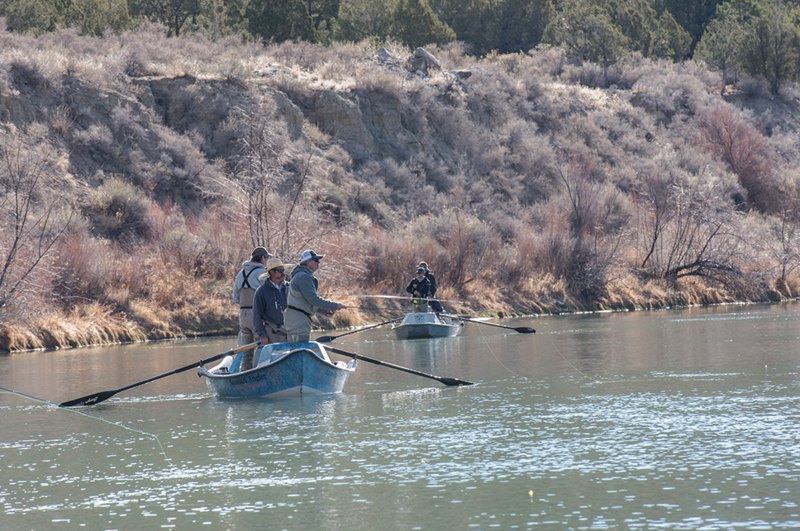 The most popular float takes you to the famous Quality Waters section, which is right below the dam. 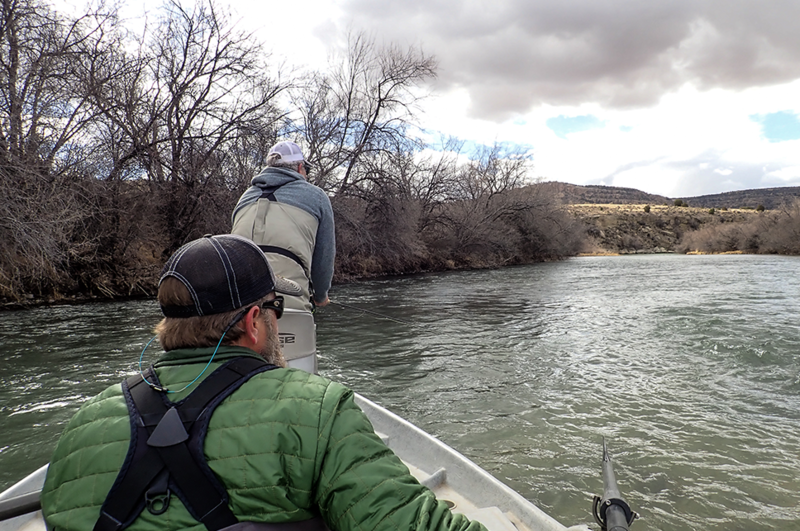 There are other floating options on the lower section of the river, and wade fishing is also available. The beautiful thing about the Soaring Eagle Lodge is that they cater to the angler’s fishing desires. Once the day ends, you will return to the lodge for a little relaxation before a fantastic dinner is prepared by one of the two chefs. Give us a call at 303-674-4700, or use this form to contact us. Our guide coordinator will contact you with more details and set you up for the trip of a lifetime.